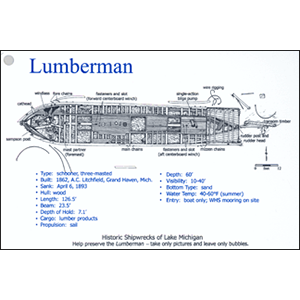 These waterproof dive guides feature site maps, schematics, diving information, ship data and histories for nine of Wisconsin’s Lake Michigan shipwrecks: Appomattox, Boaz, Cherubusco, City of Glasgow, Dan Hayes, Kate Kelly, Lumberman, Reynolds’ Pier, Selah Chamberlain. 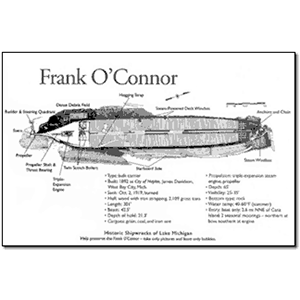 Take the guides with you on your dives or read them in the comfort of your home. 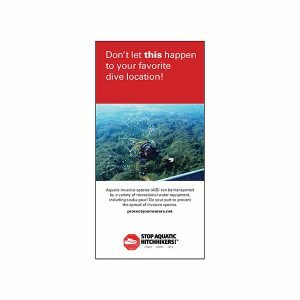 Don’t Let This Happen to Your Favorite Dive Location!